Innovative hospitality business, The New World Trading Company (NWTC), has achieved a place on the Sunday Times Virgin Fast Track 100 league table for the third consecutive year, cementing the Knutsford-based company as the fastest growing pub & restaurant operator in Britain, achieving over 60% growth in the last three years. In its 21st year, the Fast Track table ranks Britain’s private companies with the fastest-growing sales and NWTC is the highest-ranking pub & restaurant business. 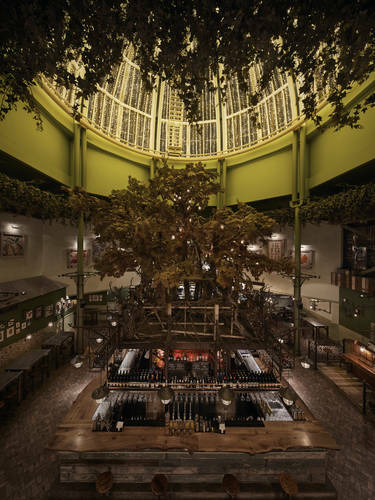 With three successive years on the table and a 60.56% sales increase, NWTC attributes its rapid growth success to the expansion of its pioneering brand concepts, including The Botanist and newer additions to the portfolio including The Canal House, a heritage-rich Birmingham-based pub which opened in July this year. Ranked 56 nationally, multi-award winning NWTC currently owns six brands across twenty pub and restaurant sites. Chief Executive Chris Hill says: “Achieving a Fast Track hat-trick is a massive accomplishment for us all and to know that we’re the fastest growing private pub & restaurant operator in Britain is a huge accolade. The fast growth of NWTC is set to continue into 2018 with a number of new sites opening, including a new Victorian-inspired restaurant and pub concept opening in Bristol and Liverpool called The Florist.